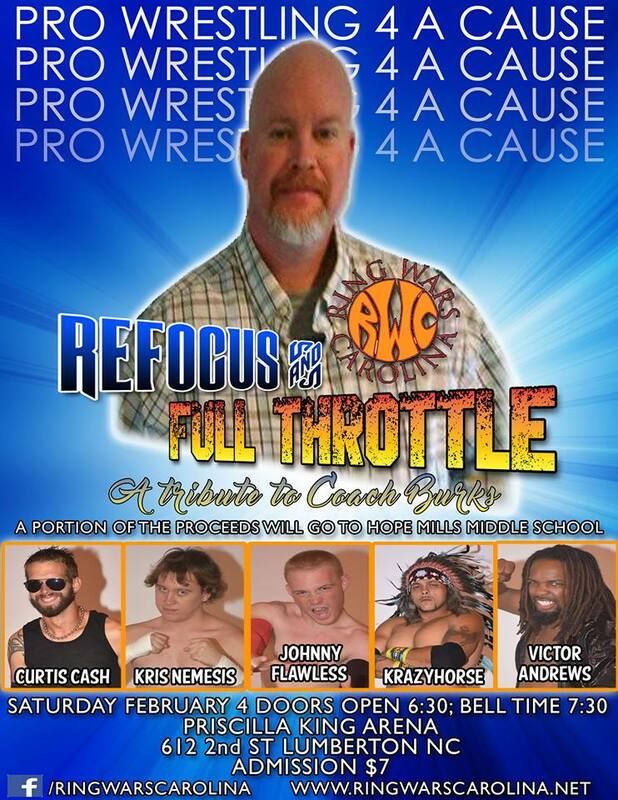 Ring Wars Carolina: Show results: "Refocus & Full Throttle"
Lumberton-Priscilla King Arena:Drew Thomas pinned Kris Nemesis...Devin Worthy def. 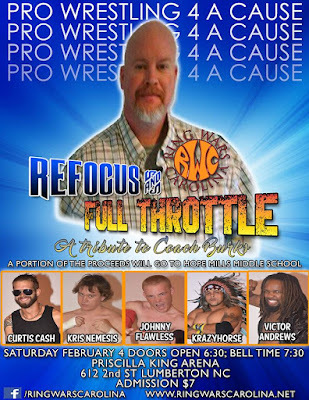 Krazyhorse to become the New RWC 4 County Champion...RWC Tag Team Champions Manstache MainEvent pinned Zero Gravity & Syde Effect...Daniel Messina pinned Curtis Cash...RWC No Limitz Champion James Anthony pinned Rage...RWC Heavyweight Champion Victor Andrews def. Chance Lebeaux & Hangtyme.